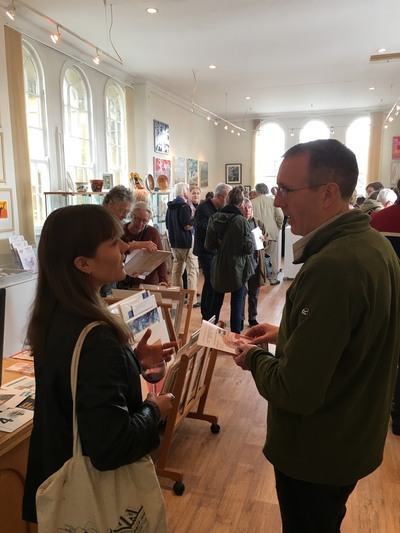 West Ox Arts is an association of artists and art enthusiasts, many of whom take part in exhibitions alongside artists invited from the wider region. 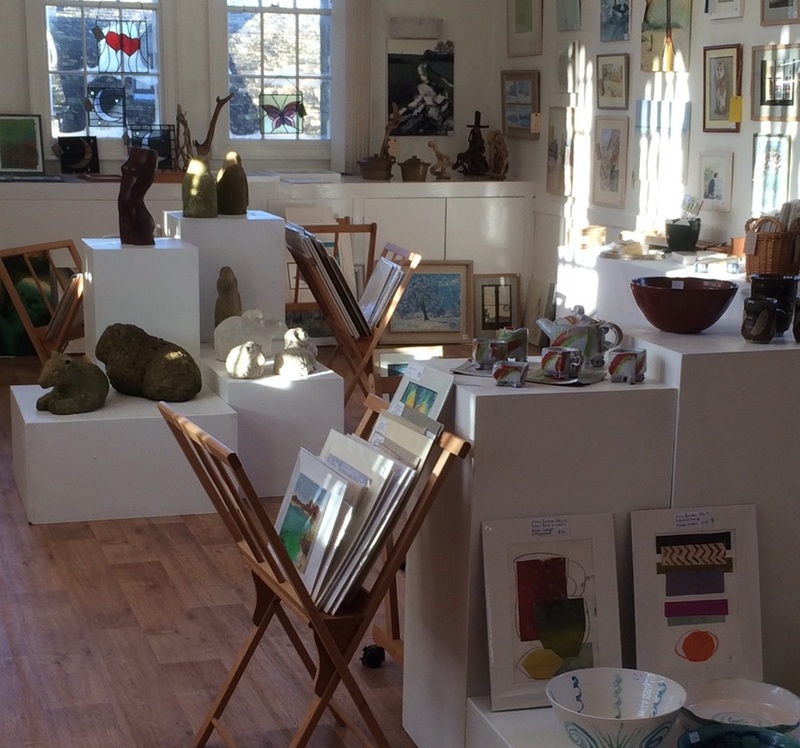 The gallery holds approximately 12 exhibitions a year showing a wide range of contemporary, high quality arts and crafts by local, national and international artists. West Ox Arts also has access to the Robert Vesey Room in Bampton for smaller exhibitions. West Ox Arts' gallery is a gallery run by artists for artists and is a lovely, light filled space on the first floor of Bampton’s Grade II Listed Town Hall in the Market Square. It has a members' gift shop which, in addition to having browsers containing members’ artwork, also sells reasonably priced handmade items such as jewellery, ceramics, textiles and cards. West Ox Arts is a registered charity and has the support of the Bampton Parish Council. The gallery is staffed by a part-time curator and administrator and also by a team of volunteers. A wide range of workshops with friendly expert tutors are held in the gallery throughout the year with discounted rates for members; our workshops and events page shows what's planned for the next few months. We also run weekly untutored life drawing classes, which are held on Monday mornings and Wednesday evenings - no booking is necessary and again West Ox Arts' members pay reduced fees. Receive monthly email newsletters with details of exhibitions, events and other activities. Invitations to the opening receptions of all exhibitions. Reductions in the cost of many classes and workshops. Social events where you can meet other people interested in the arts. Exhibit your work in the annual members' show. Reasonable exhibition fees which include installation, publicity and opening reception arrangements. Additional exhibition space in the Robert Vesey Room. The opportunity to sell your work through the gallery shop (please contact our curator or administrator for more information).